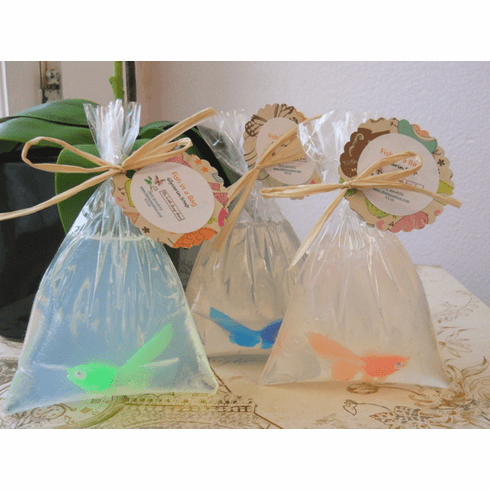 This cute "Fish in a Bag" soap is great for kids (and adults) of all ages. Made with 100% vegetable glycerin soap that is SLS and detergent-free. Comes in a cello bag with cute tag. Weighs approximately 5.5-6 oz. Warning: Fish toys may present choking hazard, not intended for children under 3 years. Great for party favors, contact me for pricing discount when you order more than 10.